So here it is; another review of a superhero movie with an element in the title. This time, it refers to Superman, perhaps the most iconic superhero of all time. Is it a bomb? Is it a hit? Is it great? Is it shiiii… iipwrecked Clark? 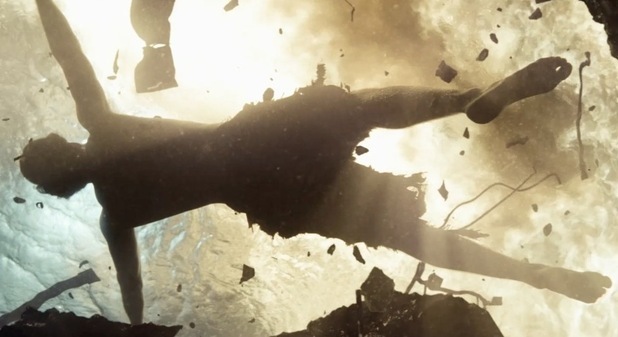 Being that Man of Steel covers the origin story of Superman, it stands to reason that events such as Kal-El’s birth, his being sent to Earth among the destruction of Krypton, as well as the Kents finding him are depicted. However, Kal-El as tries to figure out what he is to do with his powers, he eventually crosses paths with Lois Lane who becomes interested in finding out who he is. In time, a vengeful General Zod finds out Kal-El has taken refuge on Earth. Can Superman be able to stop the evil Kryptonians plans? While I thought that Henry Cavill held his own as Superman, I believe Kevin Costner and Diane Lane were the standout stars of the movie as Kent’s parents. The way each of them engaged a confused young Clark struggling with who he is made those moments the most powerful in the entire movie. This leads to the thing that resonated with me most about Man of Steel; which was namely how it depicted Clark’s discovery of his powers and young Clark trying to make sense of his powers. It made me feel for this previously seemingly unrelatable hero; a feat that only a couple of Superman stories was able to do for me. The visuals were, for the most part, distracting. Now look, I’m well aware that technology has come a long way from the Christopher Reeve days of Superman in addition to the fact that Superman has a completely different set of circumstances than Batman (i.e. Superman flies and has laser vision whereas Batman has no powers and ton of gadgets). But there is such a thing of CGI overload. When I first started noticing it after 5 minutes into the movie, I had to remind myself of the different circumstances argument. However, as the movie reaches the big battle scene, it suddenly turns into Transformers: Dark of the Moon as the oversaturation of CGI and explosions utterly brings attention to its self (the explosions) instead of the actual movie. I’m a super powered alien in a highly populated city containing millions of people that I’ve dedicated my life to protect. Come at me, bro; right here, right now! While I enjoyed some of the action sequences, it, at times, felt a bit repetitive, like a special move in a fighting video game that loses its coolness after a while. However, while I was entertained right into the ending, the glaring story issues prevented me from fully enjoying it from start to finish. 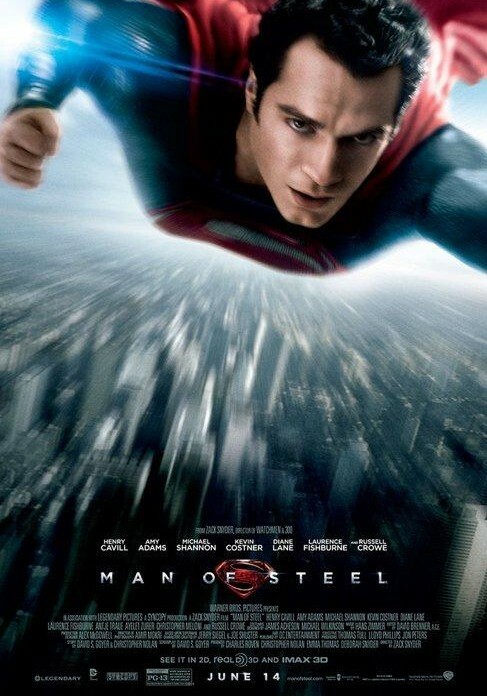 Immediately as the end credits were rolling, I turned to my good friend from college and said, “I liked the Batman movies better.” I made the comment as I knew that Christopher Nolan and David S. Goyer (who had worked in one way or another on the Dark Knight Trilogy) were behind the story of Man of Steel. Now this has nothing to do with how dark Superman was or was not. Superman and Batman are completely different heroes. I said it (or something similar) in my Superpowered Movie Rankings post, I DON’T WANT EVERY SUPERHERO MOVIE TO BE DARK LIKE THE DARK KNIGHT TRILOGY. I’m personally sick of the perception that making a superhero movie with a tone like The Dark Knight Trilogy somehow equates to a better movie only because you’ve “made a superhero dark.” If that’s what you think, then you’ve missed the point entirely. I love the Dark Knight trilogy because each movie had character development, stellar acting, and a story that had a balance of action, dialogue, and meaning to it that makes me want to revisit it over and over. IN THAT REGARD ONLY (and ESPECIALLY SINCE THE SAME DIRECTOR & WRITER WERE INVOLVED), I wanted Man of Steel to be like The Dark Knight Trilogy. 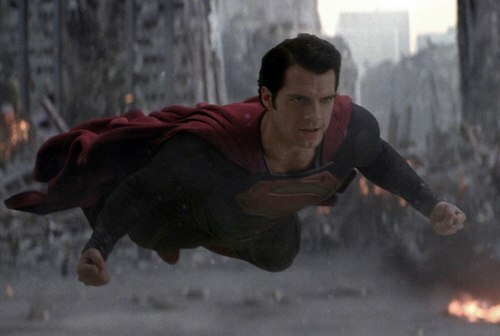 Man of Steel is like a birthday cake with too much cheap icing on it. The overuse of the icing overpowers the substance of the cake. In like manner, the insane overuse of repetitive CGI animation with the lack of overall story/heart overpowered the rare moments that could’ve been the foundations of an entertaining movie with substance as opposed to simply turning it into a sub-par movie that’s been heavily CGI’ed down. While I left the movie slightly more satisfied than Iron Man 3, it’s was still a pretty big disappointment. I think Man of Steel is just ok and only ok at best. While I don’t think that it’s the epic movie of the summer, there are a few moments in the movie that are so good that salvage it from a Phantom Zone like exile for me. It is always entertaining and fun to watch, it just isn’t as epic or dramatic as I thought it was going to be. Good review.